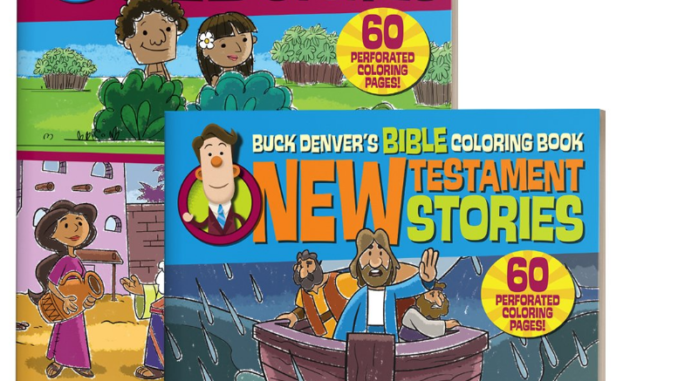 Color your way through well-known Old Testament Bible stories and bring God’s Word to life at the kitchen table! Go on an informative and in-depth video series for upper elementary school students through the Old and New Testament. The creator of Veggie Tales, Phil Vischer has created a series of characters that go through scripture. Both of these books contain 60 coloring pages that at perforated with Bible verses that are ESV or NLT. The pages are filled with characters, scenes with scripture of just Bible verses. I love how even though these are pages to be colored, they come to life through the characters. This would be a great curriculum to use for children at pre-school or even at a church. I really think you will like this for your children.